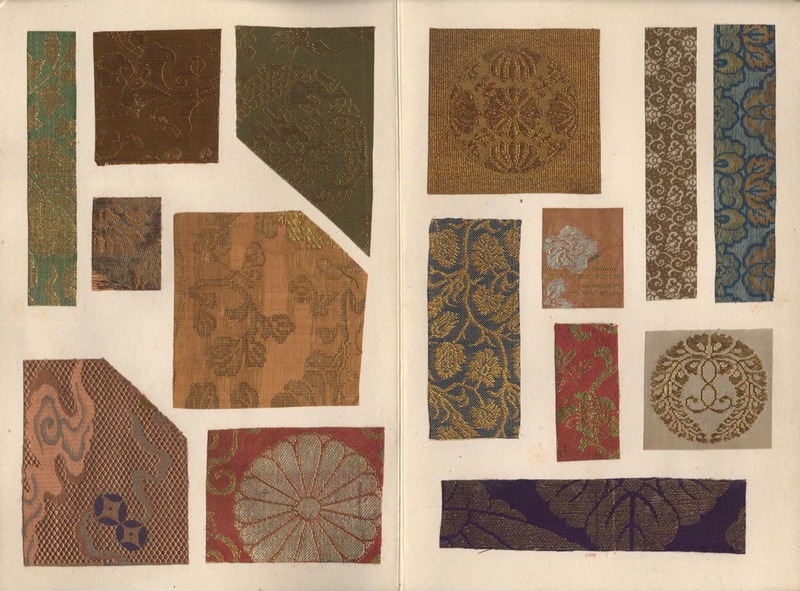 Title: Untitled collection of brocade fragments. 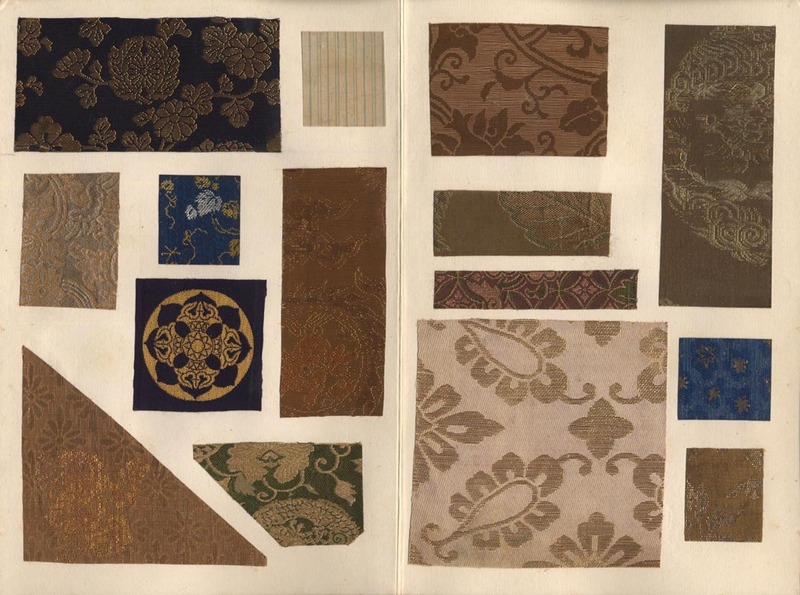 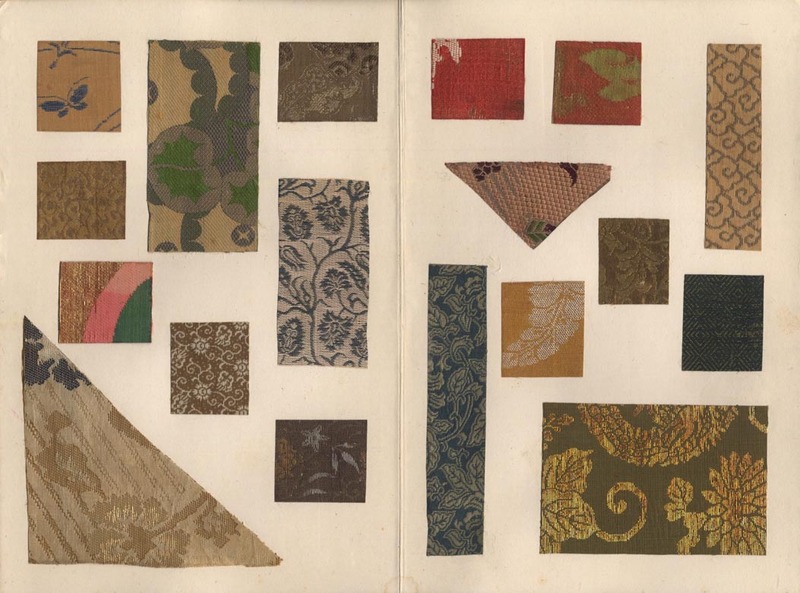 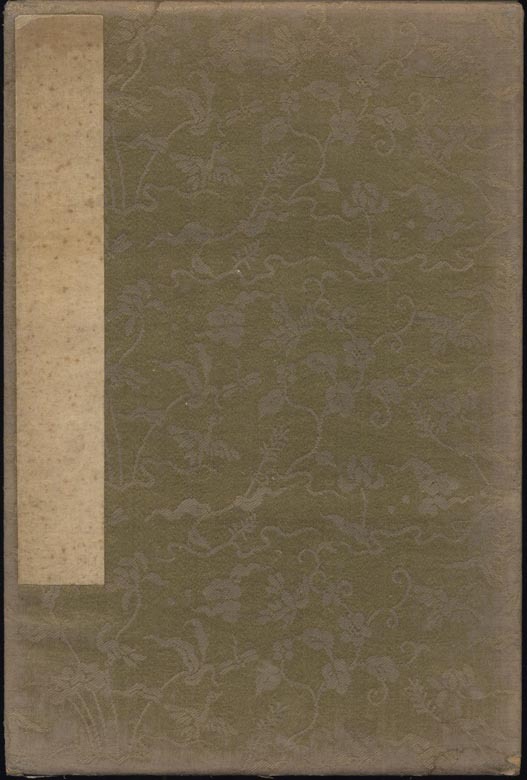 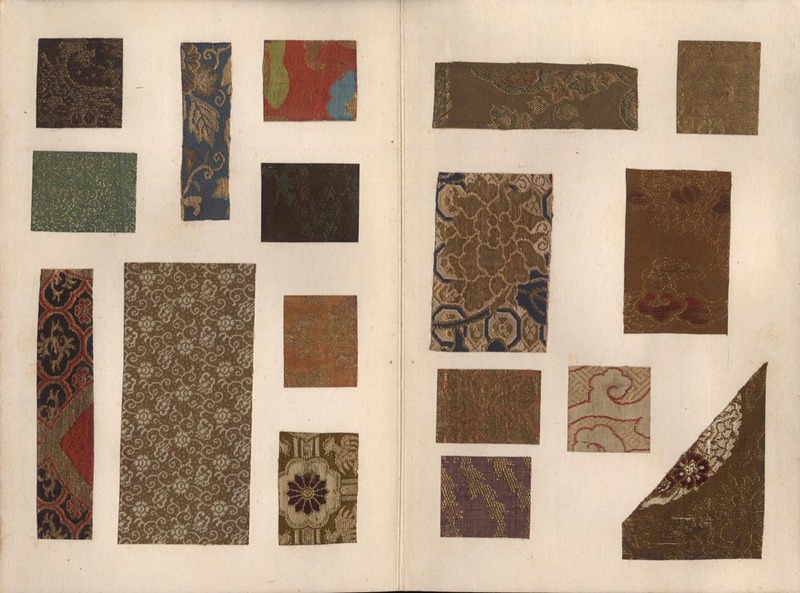 Description: A collection of Japanese brocade fragments. 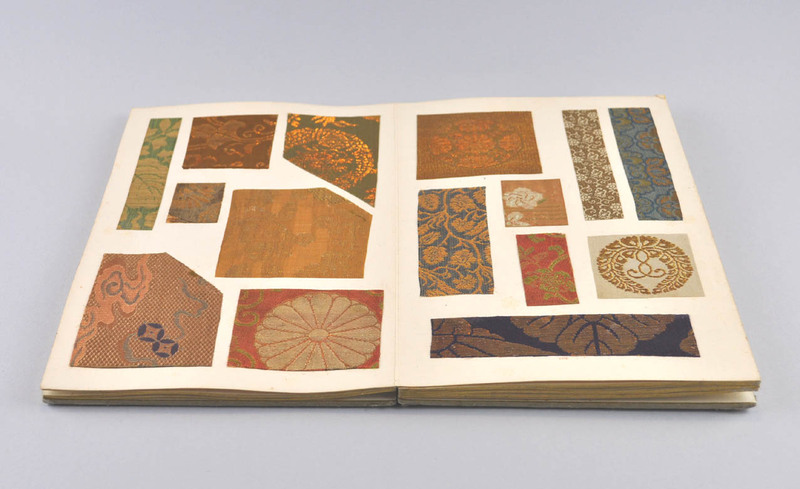 Fifty examples pasted on five pages. 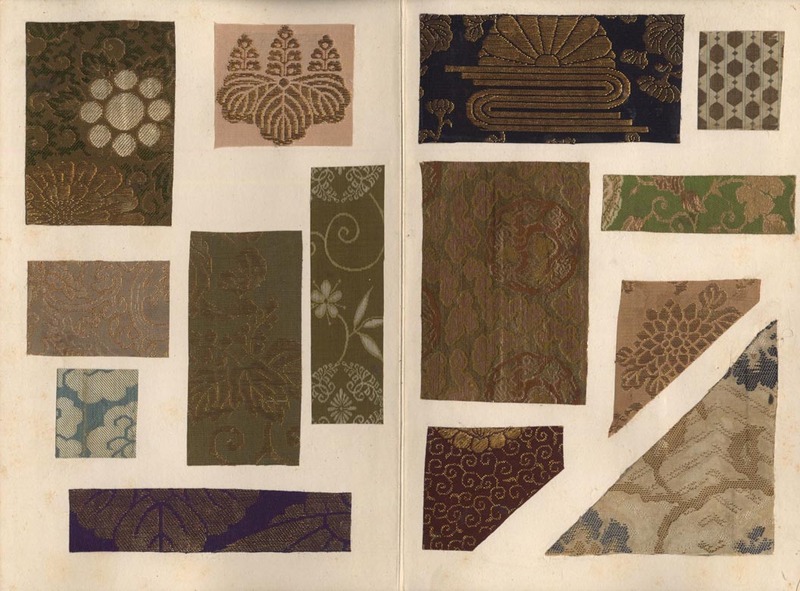 Date: The album mid 20th century, the textiles 18th-19th century.